With a rapidly growing fleet our company offers reliability and commitment for all your hauling needs. In snow , shine or sleet make sure you call the Arise fleet. The professional drivers at Arise Trucking are here to help! We haul commercial and residential. Arise Trucking is a full service trucking company providing quality hauling services to some of Utah’s largest construction contractors. 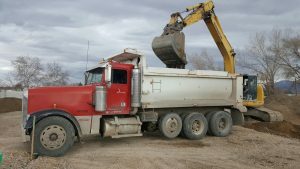 Our primary services include dump truck hauling of top soil, sand, gravel, rock and fill dirt. Our success has been built on timely service, quality equipment, experienced drivers, and our knowledgeable and friendly staff. Please take a moment to explore our website, and feel free to contact us with any questions. We pride ourselves on providing high quality trucking services at competitive prices, and exceeding our customer’s expectations. 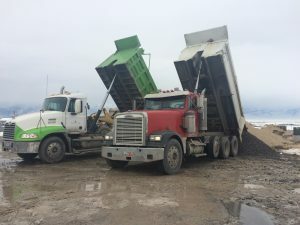 We’re pride ourselves in offering quality Dump Trucking services and excellent products to commercial and residential work sites in our Utah and Salt Lake county communities.